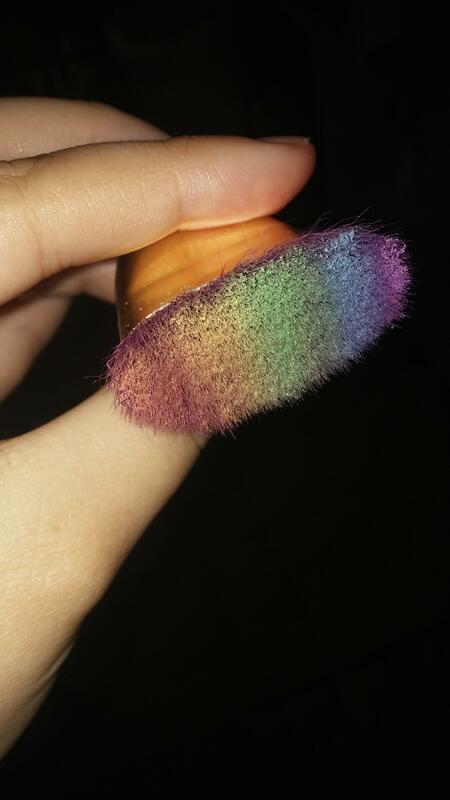 You might remember when everyone was losing their damn minds over this rainbow highlighter from Bitter Lace Beauty a couple weeks ago. Due to high demand, though, the handmade beauty product sold out and the Etsy shop temporarily shut down. The beauty world never knew devastation like this. So one freelance makeup artist, Hunter Szigety, decided to take matters into her own hands — literally — by making her own rainbow highlighter. After getting her products together, she popped 'em out, crushed each shade into an empty compact, and pressed it into place with rubbing alcohol. 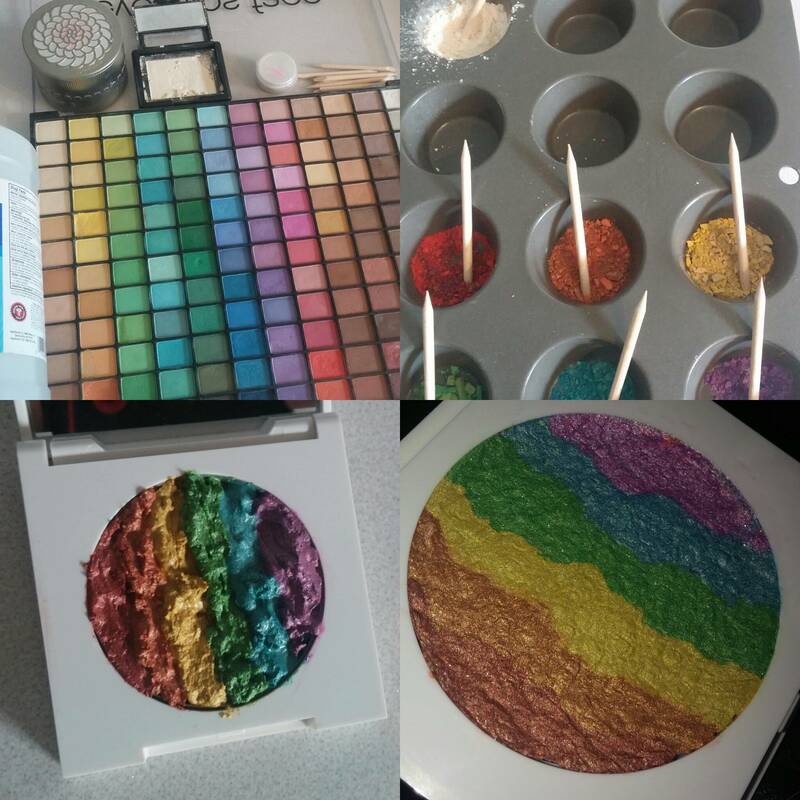 "I chose the pans of eyeshadow I wanted to use, and pried them out of the palette with a knife, and scraped them into a muffin tray to keep the colors separate. I crushed them as finely as I could, then added the crushed highlighter until I was satisfied with the colors," she wrote. "I added alcohol a drop at a time until a paste was formed. Then I used a toothpick to lay down strips of color in the pan. I pressed the pan with paper towel until color stopped transferring, and allowed it to fully dry, which took about 24 hours." ...And the result was pretty dang close to the original. 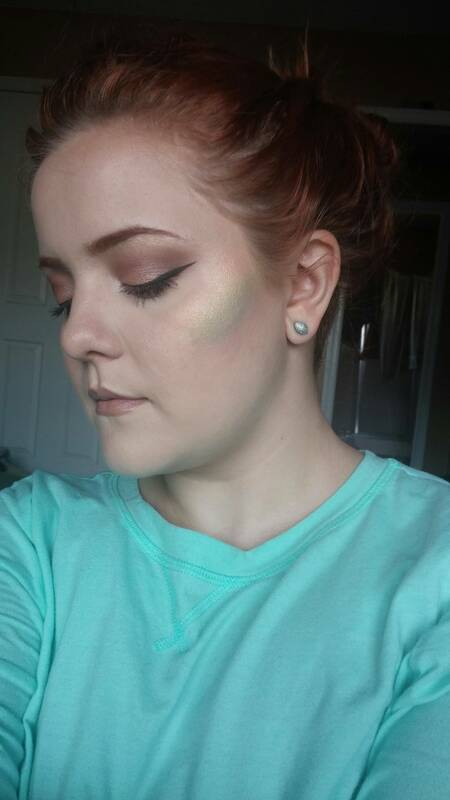 "I think the final result is close enough to the Prism highlighter that I won't need to buy it," she wrote. "I wouldn't call what I made an exact dupe though. I doubt it's as finely milled, and it doesn't have that beautiful floral pattern stamped into it. But it was fun to do, and it's a cool way to repurpose stuff that would have gotten thrown away anyway." "My only tip is to choose lighter colors than you think you'll need, especially the blues and greens," she told BuzzFeed. "I chose pretty pastel colors, but they still turned out a little bit darker than I wanted. Still, I'm very happy with the result."